When it comes to making the perfect cookie for your little monsters, you’ll love this thick and chewy monster cookie recipe because it’s loaded with chocolate and peanut butter goodies! Hi guys! 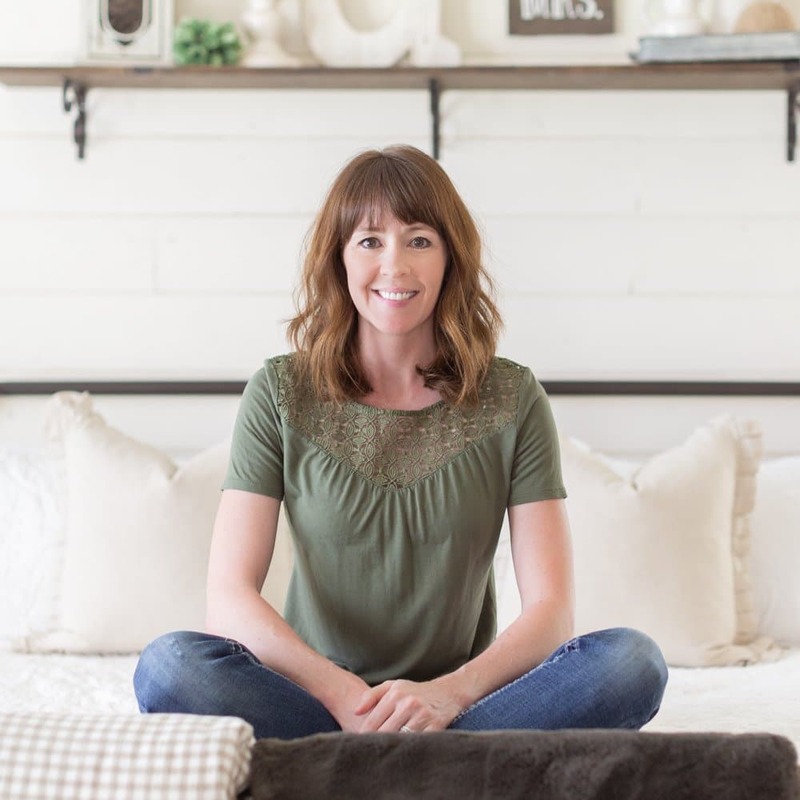 It’s Kristine from Kristine in between again, dropping by with one of my family’s favorite cookies – this monster cookie recipe! I’m going to tell you something; and you might need to sit down for this one, but I’ve never made monster cookies until this week. I’m serious; I didn’t even know what they were. I’ve made peanut butter cookies with chocolate chips, chocolate chip cookies with oatmeal in them, and traditional M&M cookies, but never a cookie with all of those things in one! And because this was a brand new recipe, I did some experimenting. My first try at this monster cookie recipe, was, well…a giant fail. I was worried about the oats absorbing too much moisture, so I lessened the flour (too much) and the cookies had no shape, no crumb, and ran into each other. Whoops! I will say that regardless of their less-than-appetizing appearance, they were incredible! And while we’re talking about fails, let me give you a few tips to help you make these cookies perfectly…the first time. When you’re measuring out your candies and chocolate chips, don’t over pour. Extra ingredients will make these cookies too thick. Just trust me! 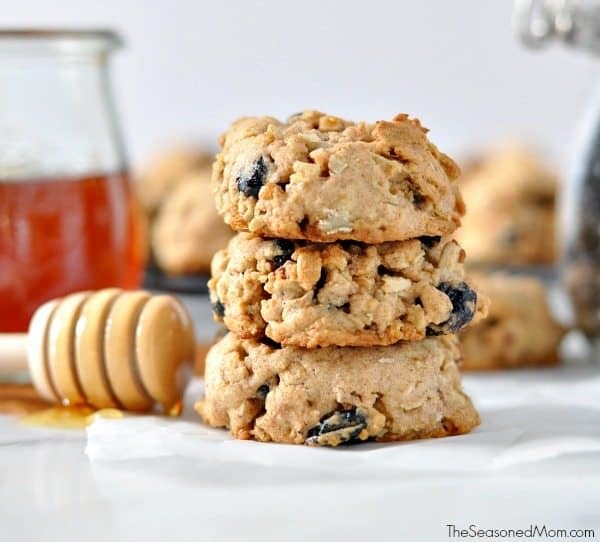 And speaking of ingredients, it’s best to use regular rolled oats instead of quick cooking oats – it leads to a better texture, but don’t let that stop you from trying them if you only have quick oats; the cookies will be okay! 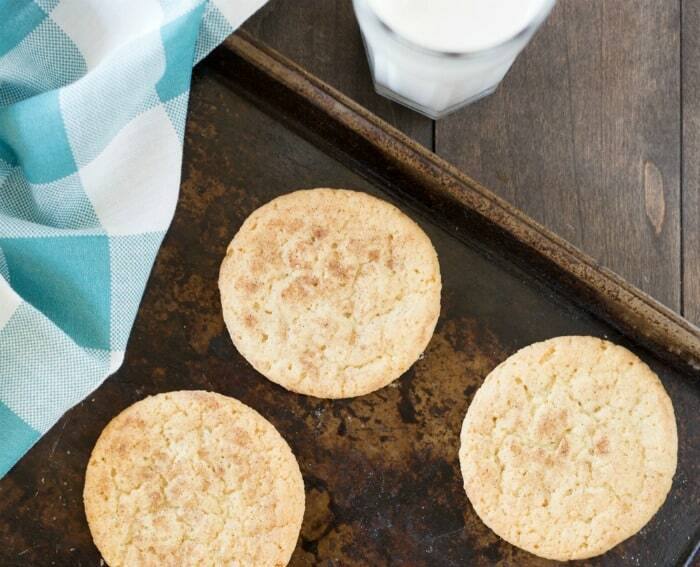 These cookies bake up the best when they are large, so use a 2 TBS cookie scoop. You’ll probably only get 6 cookies per standard size baking sheet this way, but these cookies are worth the washing of the extra pan. 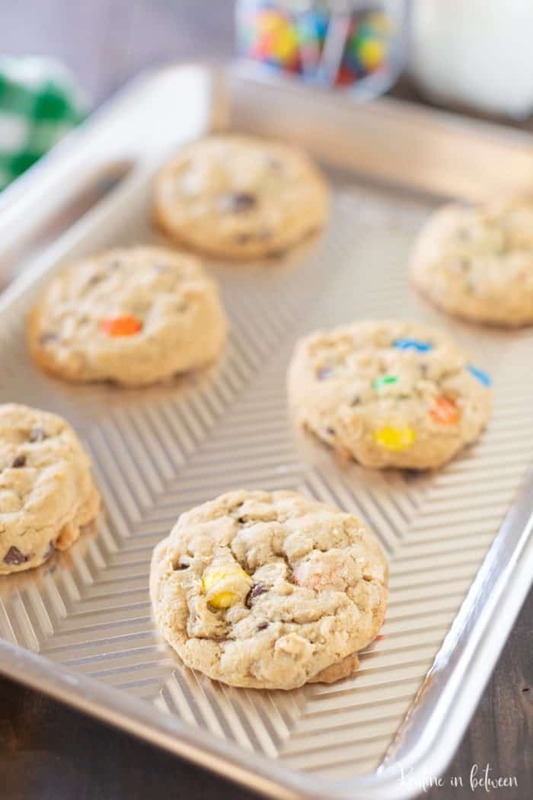 Using mini chocolate chips instead of full-size will help the cookies flatten out a little more. It’s not the end of the world if you don’t have minis, so again, don’t let that stand in your way; the smaller chips just help the cookies spread a little more. Now, for the best part – let’s talk about these cookies! I started out with one of my favorite cookie bases, being primarily brown sugar for that chewy texture and boy did it deliver! 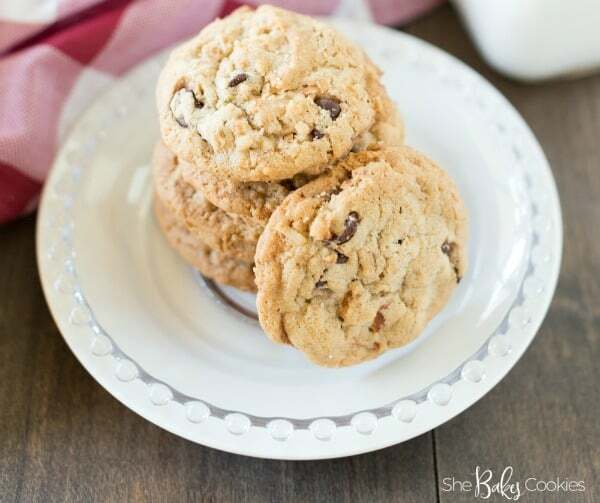 Even though these cookies are super chunky and absolutely chalk full of goodies, they are still nice and chewy! The oats help with that too; and I was surprised to find how much I enjoyed the oats in this cookie! 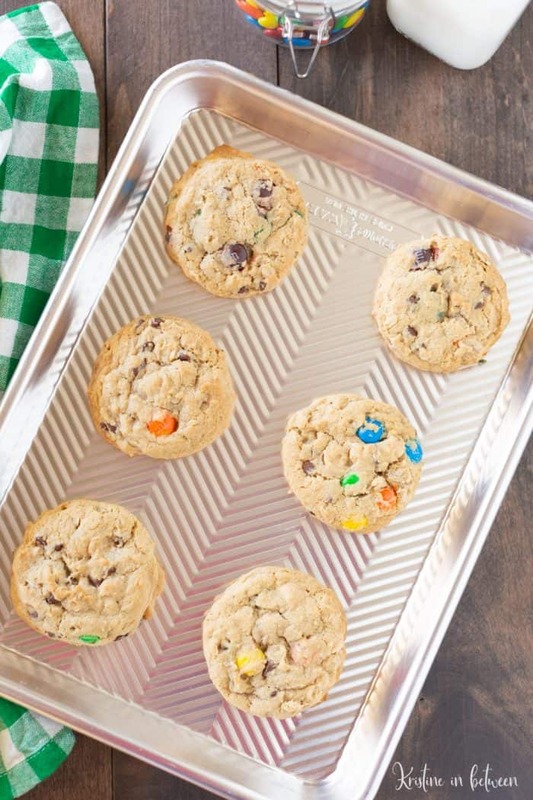 The peanut butter and chocolate chips are the perfect pair (of course, haha), and then when you and the crunch from the M&M candies, these monster cookies are to-die-for! This monster cookie recipe makes about 18 large cookies and just so you know, they were all gone in one day over here, yes one day! 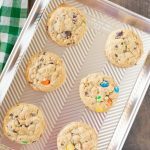 Your little monsters will also love these sprinkle chocolate chip cookies or these one-bowl sprinkle sugar cookies, so head on over and grab those recipes too! 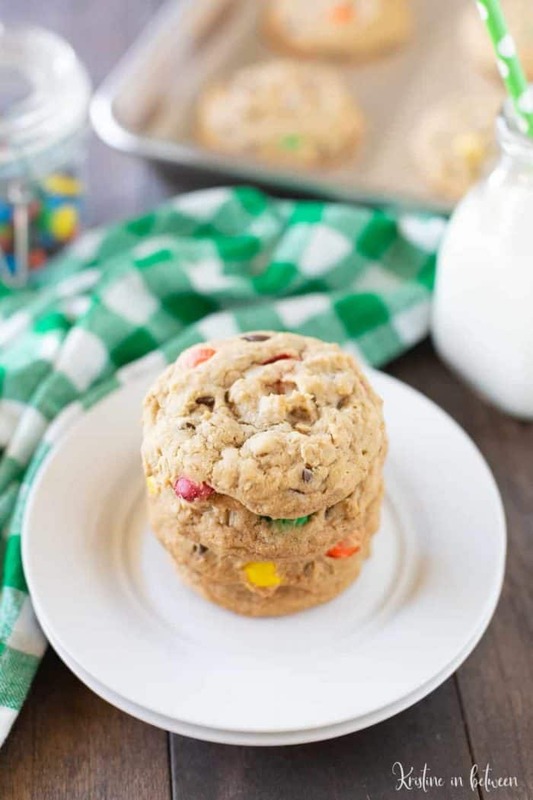 A simple yet deliciously chewy monster cookie recipe with peanut butter and m&m’s. Thick and chewy monster cookies loaded with peanut butter and chocolate goodies! Preheat oven to 350 degrees and line 3 baking sheets with parchment paper. Set aside. In a large bowl cream butter, sugar, and brown sugar until smooth. Add sea salt, baking soda, water, vanilla extract, and egg and mix well. Slowly add flour, half at a time stirring to incorporate. Try not to over-mix. Fold in M&Ms, peanut butter chips, rolled oats, and chocolate chips. Using a large 2 TBS cookie scoop, scoop dough onto lined cookie sheets at least 2" apart. Bake for 12-14 minutes, rotating pans halfway through cooking. Cool cookies on the pan for 5 minutes before transferring to a wire rack. Store in an airtight container for up to a week or freeze. I only get 6 cookies per baking sheet with the large cookie scoop. If you liked this Monster Cookie recipe you might also like….